Today marks the start of the Paralympic Winter Games in Sochi with the opening ceremony and we cannot wait to see Canadian athlete Sonja Gaudet carry out the Canadian flag. We will be cheering on Gaudet and the rest of the wheelchair curling team as they fight for their third consecutive gold medal at the Games. We are looking forward to all the Paralympic events, and we are especially excited to see the ice sledge hockey and alpine skiing! Perhaps one of the most exciting events will be para-snowboarding since it is making its debut at the Games this year! The format will combine both race and freestyle elements which will make it very exciting to watch. Go John Leslie! A special shout out goes to our Toronto athletes, Erin Latimer and Chris Williamson, both alpine skiers. 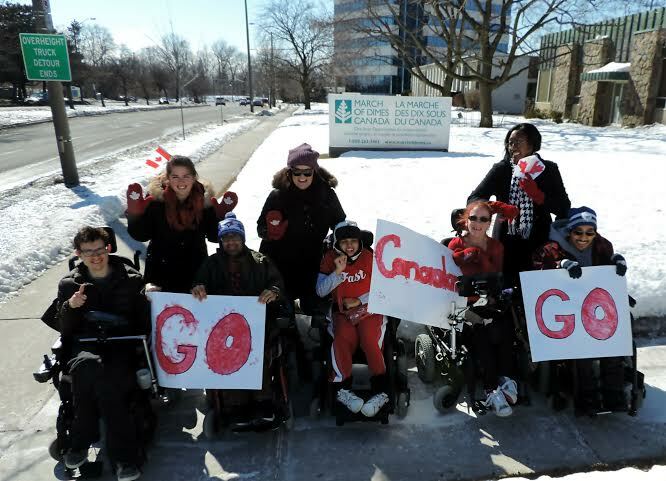 Cheer on all of our Canadian athletes at the 2014 Paralympic Games! Go Canada Go! Take a moment to watch what we found to be an empowering, motivating and inspirational video that reminds us it is not about what’s missing, it’s about what’s there!